Finnish army MILSPEC webbing, properly NIR reflective, super tough etc. 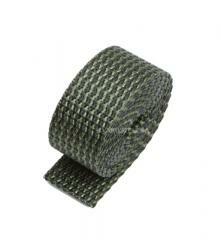 Available in 19, 25 and 40 mm, both black and olive drab. Sold by the metre, 1 pcs = 1 metre. If you order 3 pcs, for example, you get one piece that's 3 metres long. We cut these to length for you. - kokemusta jo reppujen yms. korjailusta, mutta saa tuosta tehdyksi myös rannekellon hihnan ja taatusti kestää!